Right in the heart of Westminster, The InterContinental London Westminster hotel is located in a historic 19th century building, which was once Queen Anne's Chamber. Its prestigious façade compliments a beautifully renovated interior within minutes of Westminster Abbey, Big Ben, and the Houses of Parliament. Crazy tea pots filled with chocolate lollipops and giant white chocolate butterflies all adorn a very british inspired and utterly indulgent luxury tea! Inspired by the Laurent Perrier Bicentenary Garden at Chelsea Flower Show, guests can enjoy stunning and indulgent floral themed delicacies including a kaleidoscope of edible chocolatebutterflies, an elaborate top tier of lavender and strawberry tart, violet éclairs, a jasmine and jivara mille feuille and a chocolate and orange blossom shot which has been carefully paired with rosebud and Ceylon tea blend for a distinctly refreshing finish. Edible chocolate butterflies, violet eclairs, mini mousse chocolate lollipops and free flowing Laurent Perrier Rose Champagne makes this gorgeous Chelsea inspired Afternoon Tea one not to be missed in London for the Chelsea season. 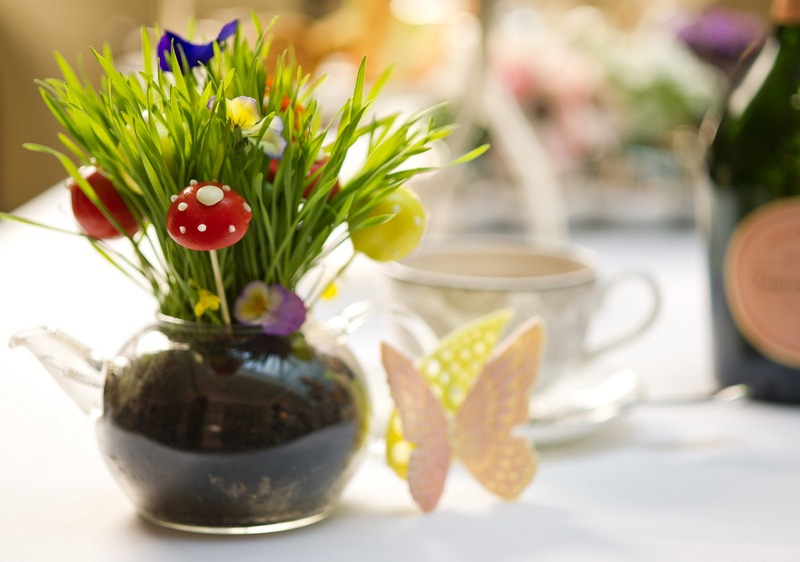 Plants and Flowers from the Laurent Perrier Bicentenary Garden feature in Emmeline’s where the Tea is served offering a total Chelsea Garden Show experience. 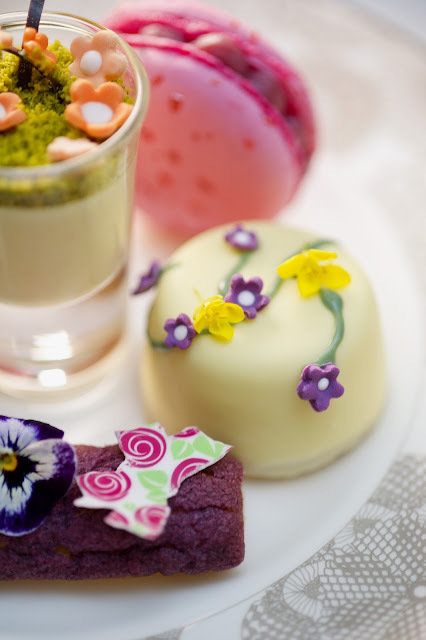 Floral afternoon tea costs £45 with free pouring Laurent Perrier Rose Champagne and is available from 17th May-2nd June. Wow, what a colourful spread! It genuinely looks like something out of Alice in Wonderland!